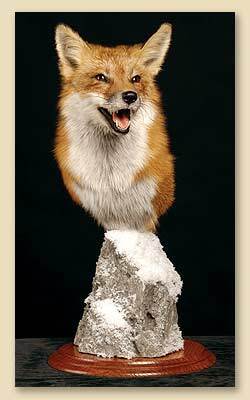 This is the rock created for use with the small mammal pedestal forms created by Roger Martin. The rocks can be used alone or with McKenzie's 8" round oak panels for smaller rocks or the 10" round panel for larger rocks. 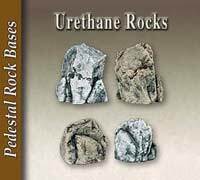 Offered in urethane or Original rock. The urethane rocks are created from a semi-flexible urethane, reinforced with wood making them strong yet very light. 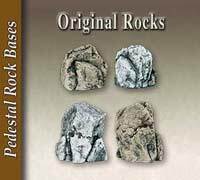 The Original rocks are created from the original material that is strong, resists chipping and is stable. Both have the same shape and texture.